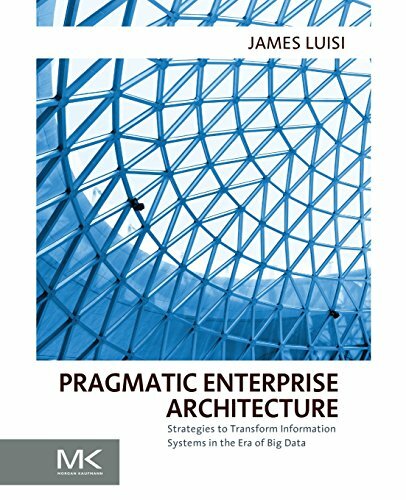 Pragmatic Enterprise Architecture is a practical hands-on instruction manual for enterprise architects. This book prepares you to better engage IT, management, and business users by equipping you with the tools and knowledge you need to address the most common enterprise architecture challenges. You will come away with a pragmatic understanding of and approach to enterprise architecture and actionable ideas to transform your enterprise. Experienced enterprise architect James V. Luisi generously shares life cycle architectures, transaction path analysis frameworks, and more so you can save time, energy, and resources on your next big project. As an enterprise architect, you must have relatable frameworks and excellent communication skills to do your job. You must actively engage and support a large enterprise involving a hundred architectural disciplines with a modest number of subject matter experts across business, information systems, control systems, and operations architecture. They must achieve their mission using the influence of ideas and business benefits expressed in simple terms so that any audience can understand what to do and why. Pragmatic Enterprise Architecture gives you the tools to accomplish your goals in less time with fewer resources. It expand your Enterprise Architecture skills so you can do more in less time with less money with the priceless tips presented. It understand the cost of creating new Enterprise Architecture disciplines and contrast those costs to letting them go unmanaged. It includes 10 life cycle architectures so that you can properly assess the ROI of performing activities such as outsourcing, insourcing, restructuring, mergers and acquisitions, and more. It complete appendix of eight transaction path analysis frameworks provide DBA guidelines for proper physical database design.